We have been to Portugal and found a lot of instagrammable places where take awesome photos. This was our anniversary gift. One week, Road Trip in Portugal, just relax and enjoy the beautiful Portuguese weather, away from our routine. 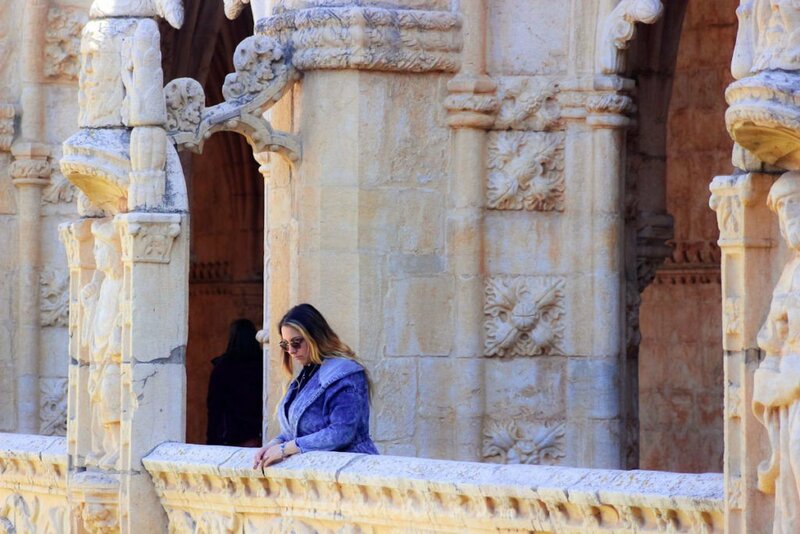 We had the opportunity to see the best photo spots in Lisbon, Porto and Aveiro. Do not ask me which one I prefer because all of them were beautiful. We spend two days in Porto and we pass by Aveiro. Porto is completely different from Lisbon, even the air that you breath seems to be different. 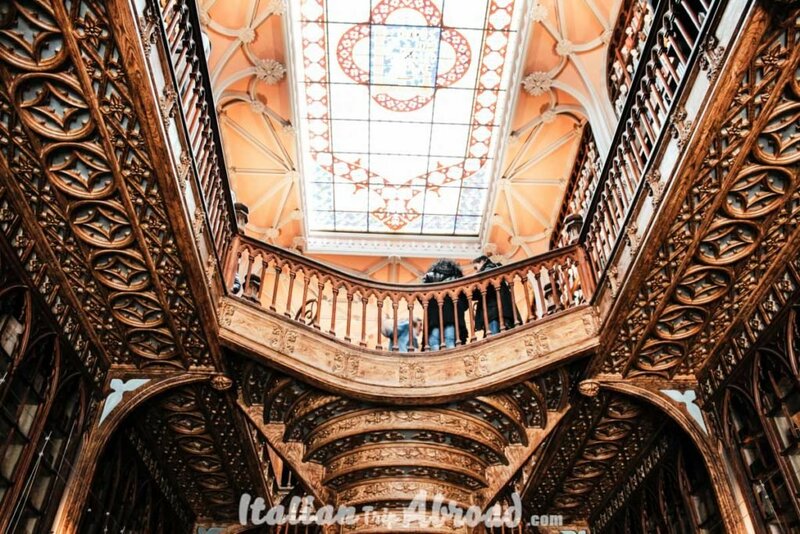 We have been walking around without know where to go and we discover beautiful streets where we discovered the best instagrammable places in Porto. Lisbon is a big city and to find the best photo spots in Lisbon you need to be creative. In Lisbon, you will have the main square Place of Commerce, the Pink Street, Place Rossio and Cristo Rei. This is just a few of the best places where to make beautiful pictures. I must say Place of Commerce it’s our favourite spot where to take pictures. 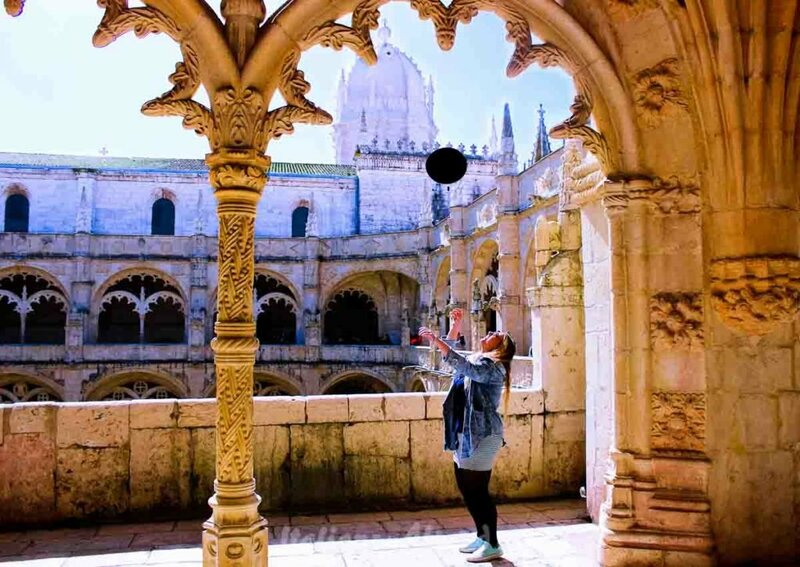 You can reach our list of Lisbon best attraction here! Nice right? This is the main square, such an amazing spot. Usually, I’m just walking and Toti is making the pictures but I have to say that this one is amazing. Every time that I see it I feel like to be there again. Praça do Comércio is very easy to reach, is in the city centre and close to the seaside. 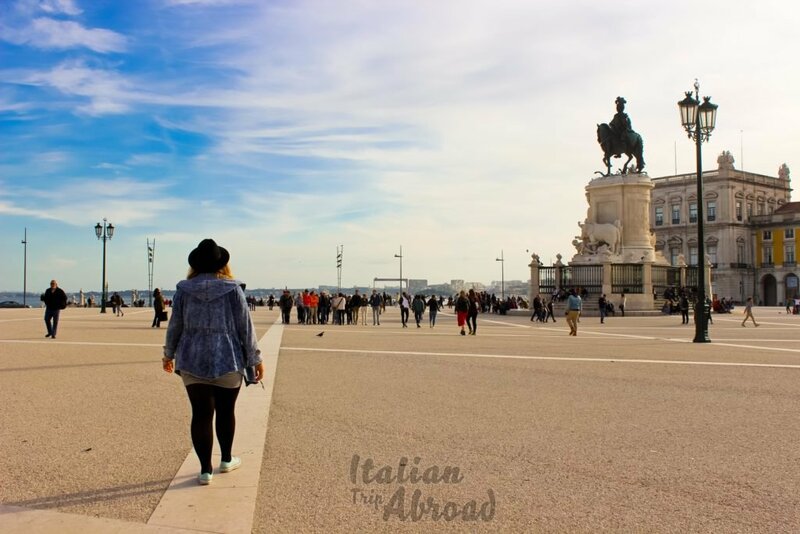 Praça do Comércio is the main square of Lisbon, where you can have a nice walk around all the shops and find a lot of foreshortening. 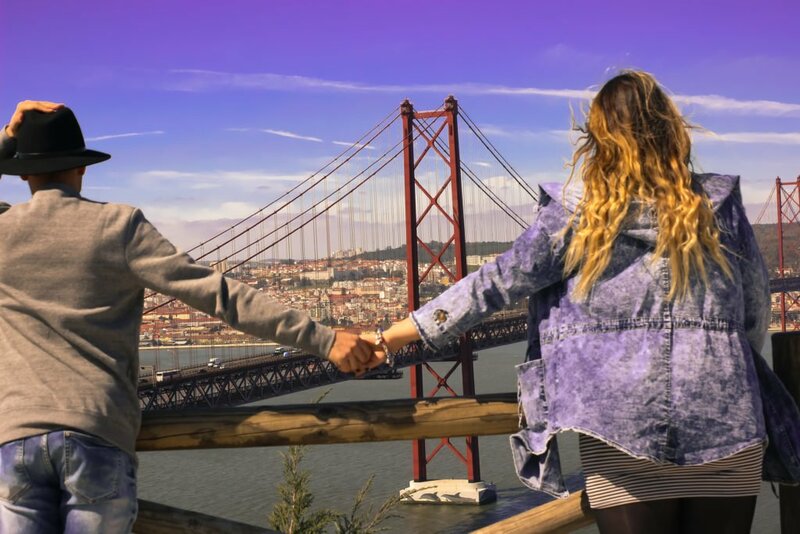 Another instagrammable spot is the highest point of view of Lisbon, which is awesome. This was one of my favourite places and the best view for an Instagrammable Portugal. I was asking myself if we were in Lisbon or San Francisco. This is the view from Cristo Rei, which is the big statue if Jesus Crist faces in front of Lisbon. It inspired the Cristo Rei in Rio de Janerio and for this reason, we weren’t sure where we were. In the middle between San Franciso and Rio de Janerio but it was Lisbon. The sanctuary is located in Almada in the opposite of the riverside. 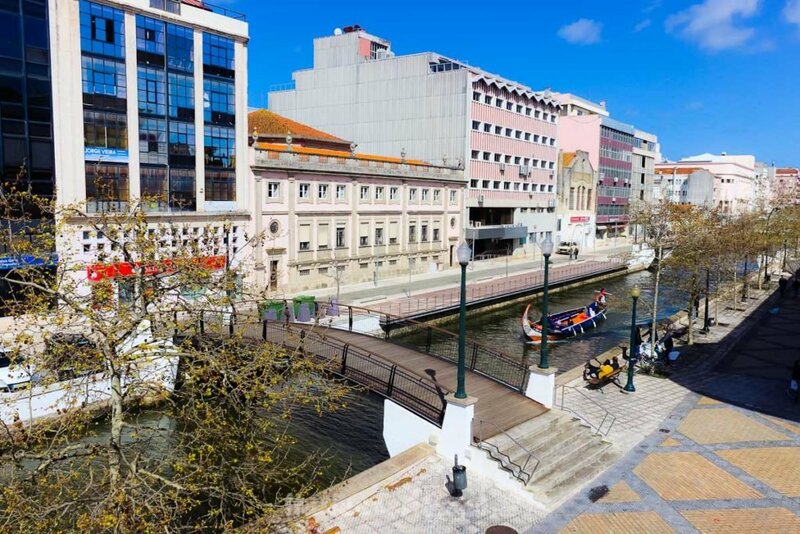 Is it easy to reach, by car you can cross the 25th April Bridge, by ferry for Cecilhas de Cais do Sodré and from there you can take a bus that in 10min you will reach your destination. Be ready to fly, because this is the highest post of view of Lisbon and there is a lot of wind, but it’s awesome. Follow our guide on how to take better photos of your travel, it is easy. Just follow our steps. During your visit to this amazing capital, you can’t miss to visit the famous Pink Street. It’s the typical and classic photo which you need to do it. To find the best photo spots in Portugal try to don’t go to the tourist places like the Pink Street. I know it’s nice but try to think outside the box and create your own picture. If you will do that it will make your trip even more memorable. This monastery it will leave you without words. 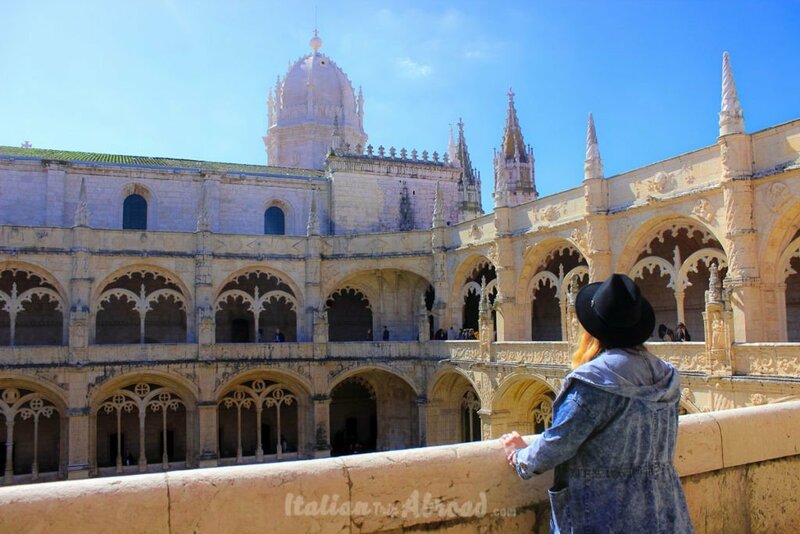 It is located close to Belém Palace and you should put it on your bucket list if you are spending a couple of days in Lisbon. The tickets are not expensive at all, only 10 euro. Once you will go in you will understand why it was really worth it to pay 10 euro. It is true Lisbon is a nice city, but if you are going to Porto you will fall in love. If you are passionate about books you are in the right place. 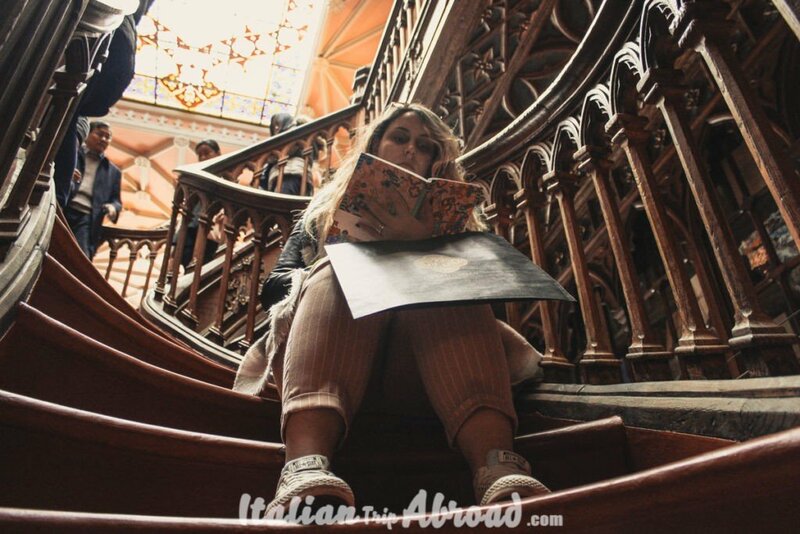 Libreria Lello is the place where the author of Harry Potter took inspirations, where you can buy the ticket for only 4 euro, and you can have the same amount like a discount for buying a new book. Amazing no? 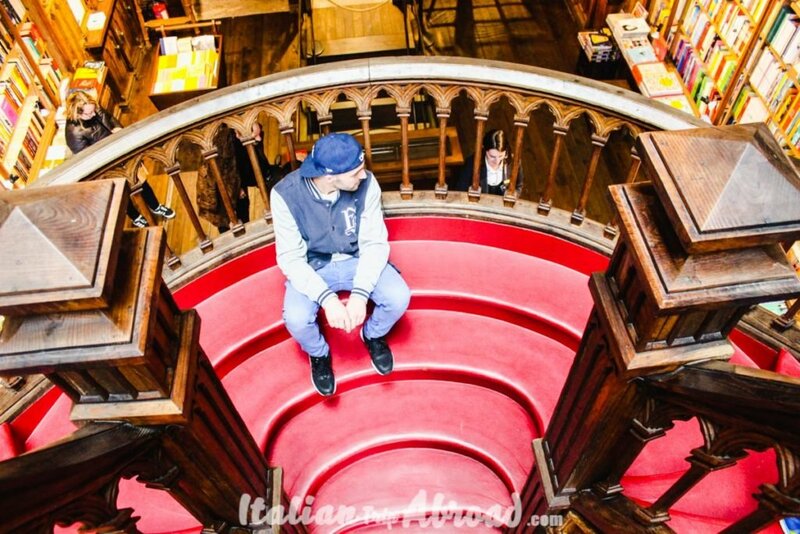 I love to read and this was one of my favourite places, I spent more than one hour looking around and of course, I end up to buy a book and to make a nice picture of Toti seating on the huge red stairs. 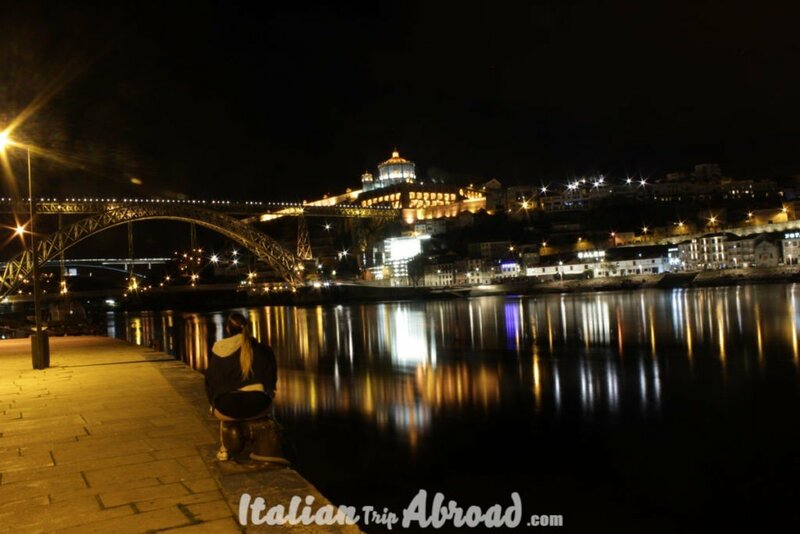 If you are in Porto, you absolutely must see Ribeira, a little chaotic and great Porto’s riverside, where you can find plenty of bars and restaurants. Especially here you can find the perfect shot of Luis I Bridge which is an indusrial symbol of Porto. This picture was made close to the riverside in Ribeira. How we did it? We tried to make it during the day but it was impossible as it was really busy so we decide to go for dinner and come back later. I think it was the best decision ever, especially after this amazing shoot. It is really awesome, even if I was seating there for almost 2 minutes the result is outstanding, and we have been lucky because for those time no one was passing by. We were lucky nothing else. After a nice sleep in the car, I woke up and we were in this nice and small city which was perfect to take a few pictures on our way to Porto. I was tired and I wanted to sleep but I have to say it worth to be awake, poor Toti, need to drive alone during my nap! This is Aveiro, we passed by before going to Porto and we feel like we were in Italy as it looks like a Little Venice. It was really small but at the same time good for a mini break. So if you are planning your trip to Porto put Aveiro on your tick list. It is called ” the Little Venice “ due to the boat similar to the Venice one going up and down on the Canal, tiny bridges are passing by one river to the other and with a bit of luckiness in a sunny day, you can really enjoy this shortstop. Since we started this way of blogging and write about our trip, we were just thinking to collect memories, beautiful personalized post-card. We have learned a lot so far. We still learning a lot and the way it’s still so long. But, we love what we are doing, and June is starting very well. Just 3 weeks ago we were in our best adventure a road trip in Andalucia. Tonight we will head in Germany for the first time. We are going well on our plan to do 12 countries in 12 months. Tomorrow is the 6th in a row of 6 month. This is the perfect life style we are building up. Follow our adventure tomorrow with #visitbremen ?? I suppose to wear something blue at least, sorry, but this contrast with the colours is amazing. Most of the people use to program the picture with the clothes to wear, sometimes is cute but it is better when the picture is made natural like this one. We don’t live to make pictures perfect in the places, we still thought to be slow tourists, the photo is the consequence of the awesome places we visit. I was just passing by and even I didn’t realize Toti was shooting, and for this, I say that the best picture is the natural ones. Lisbon is decidedly lively! There is so much to see and do. I like the view from Cristo Rei – beautiful. And you have captured some nice shots too. Thank you very much. It is true the view from Cristo Rei is amazing, I think that it was our favorite place. I have never been to Lisbon nor Porto, but I see so many nice pictures that I put it on my list. You must go one day. We didn’t plan to go to Porto but we just end up there and it was awesome, better than Lisbon. Yes it is Eli. Is one of the most instagrammable places we have never been. Going there next month. SO excited to see what I will be experiencing. These places looked beautiful.